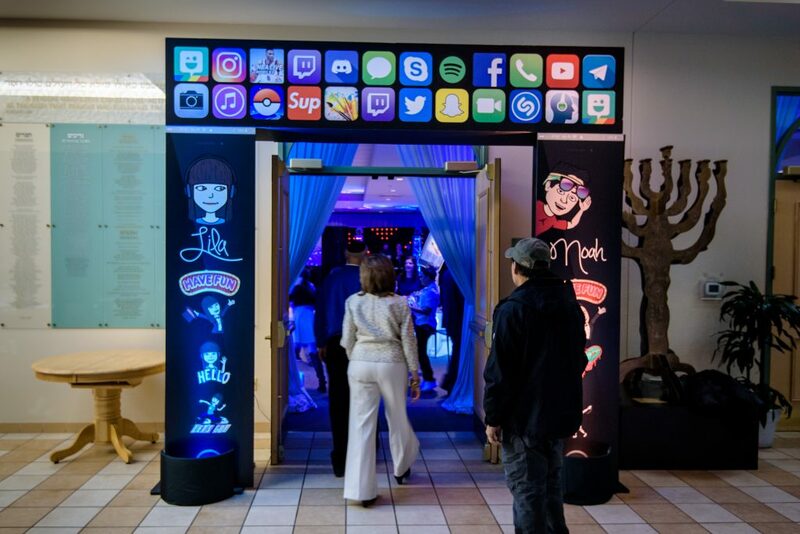 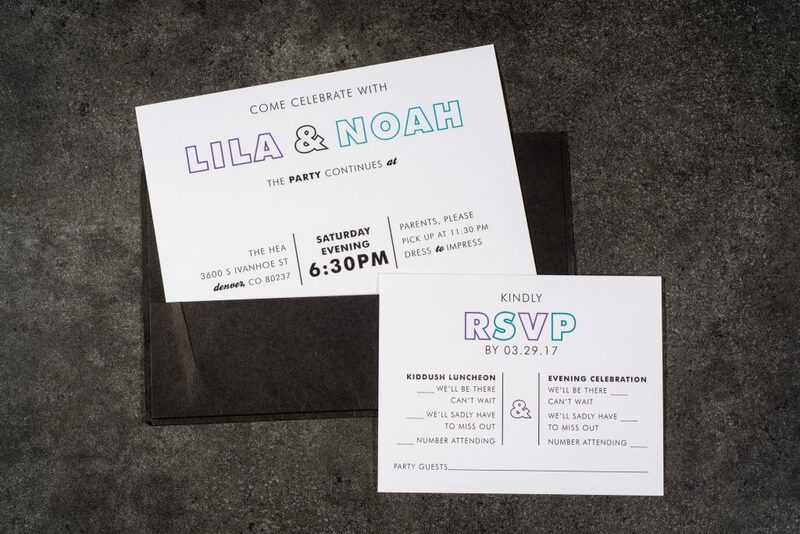 iMitzvah: colorful bitmoji based graphics, bold lighting, and the perfect energy for a big group of friends to celebrate. 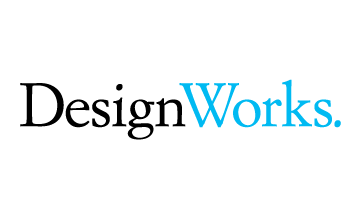 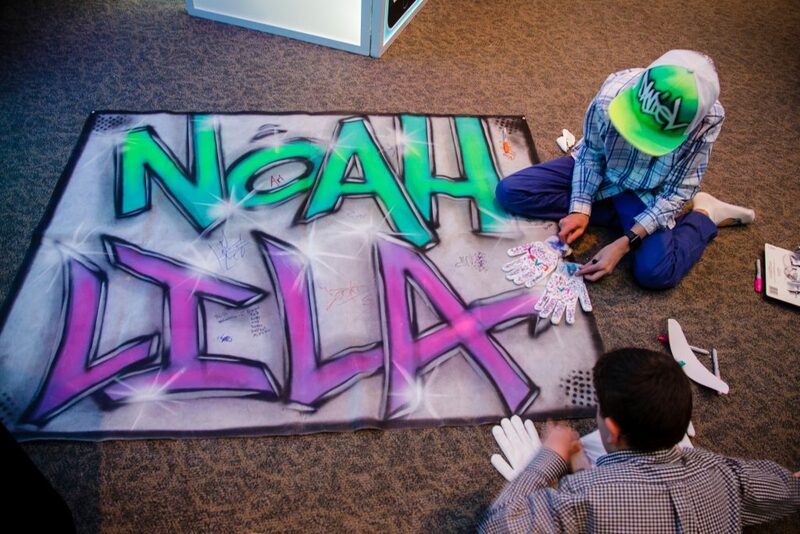 Specifically, Lila and Noah’s Mitzvah, embraced these characteristics while highlighting each child individually. Personal Bitmojis were created for each child and adorned the entrance arch, bars, and details. 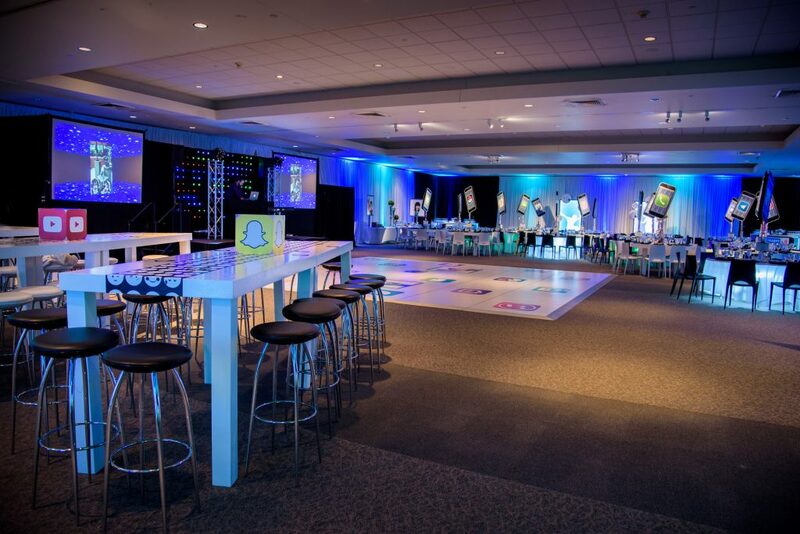 Tall white lacquer communal tables framed the dance floor and posed a fun, interactive way for the kids to socialize with each other. 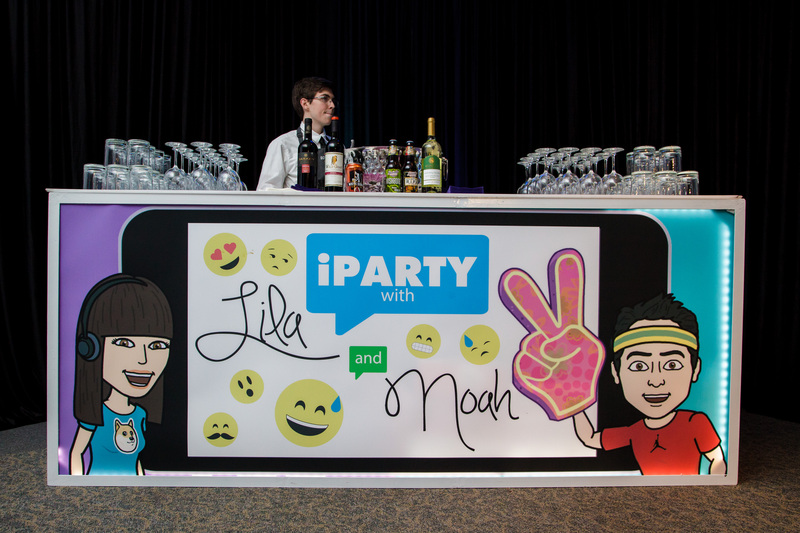 Each table had a custom app-style linen runner to add that extra pop of fun! The adult tables were just as fun as the kid’s. 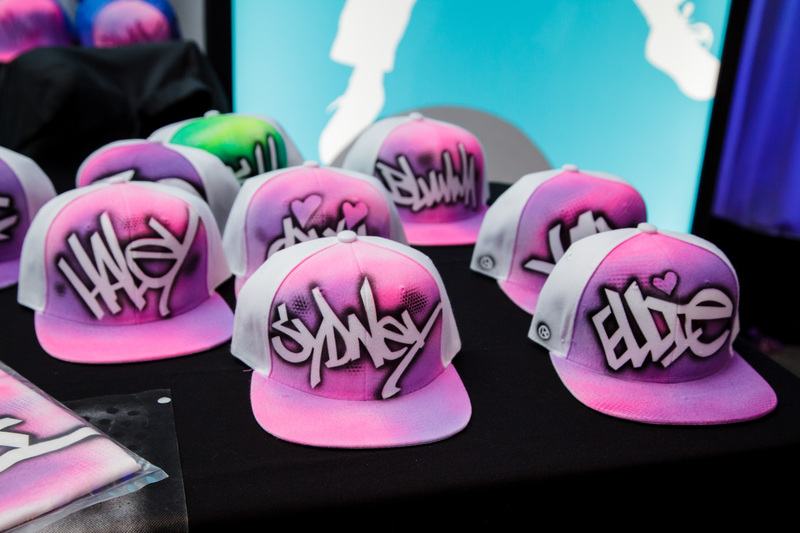 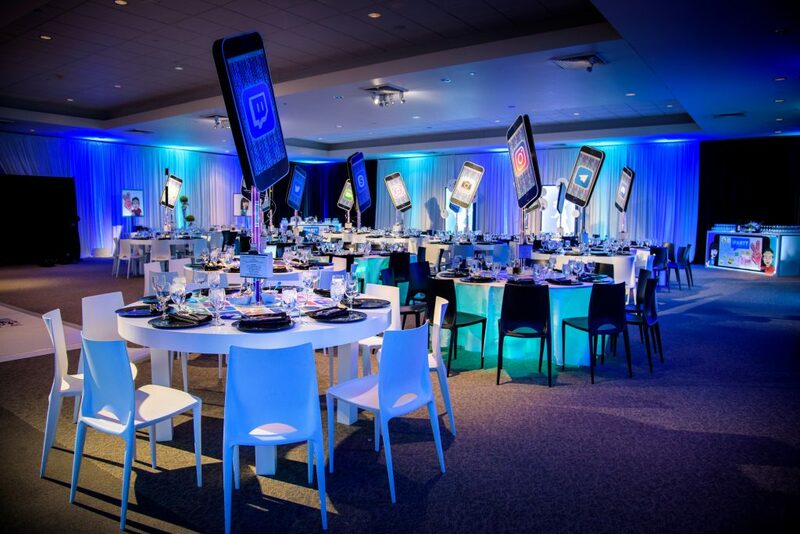 Futuristic app-inspired centerpieces and glowing tables sent the room over the top. 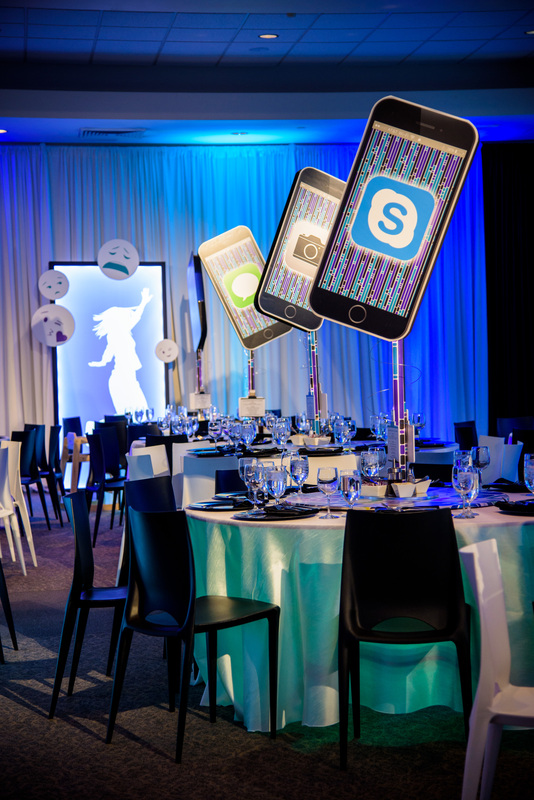 Revolutionary lazy-susans rested under the centerpieces and were elevated with custom phone charger menu cards. 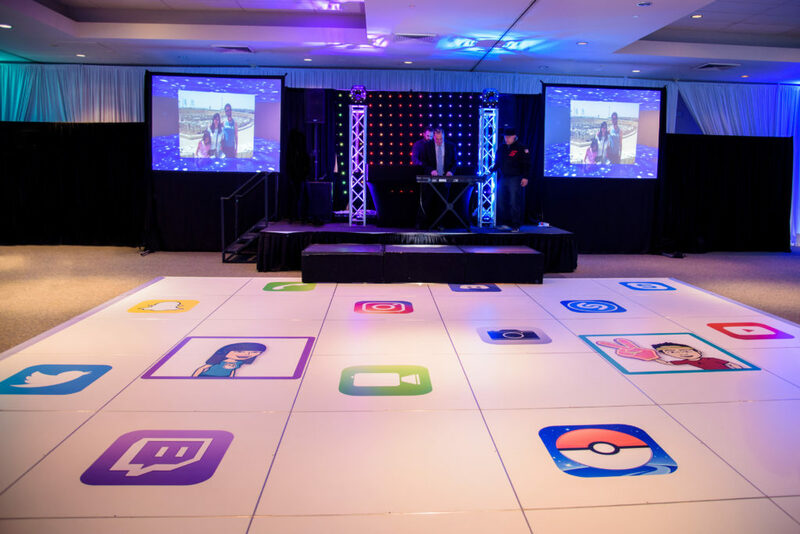 The white dance floor was complete with custom icon vinyl appliques, which provided a unique space for the kids and adults to dance the night away. 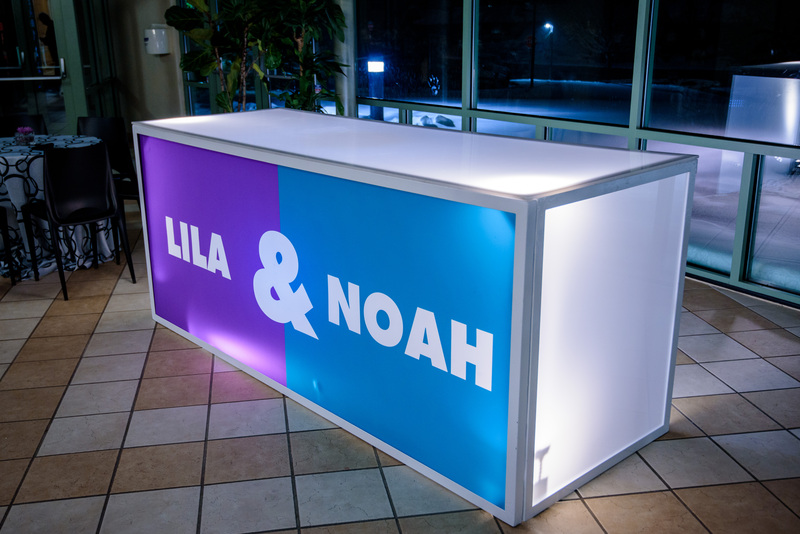 With all the table, bar, and food station details in place, the lighting added all the final touches. 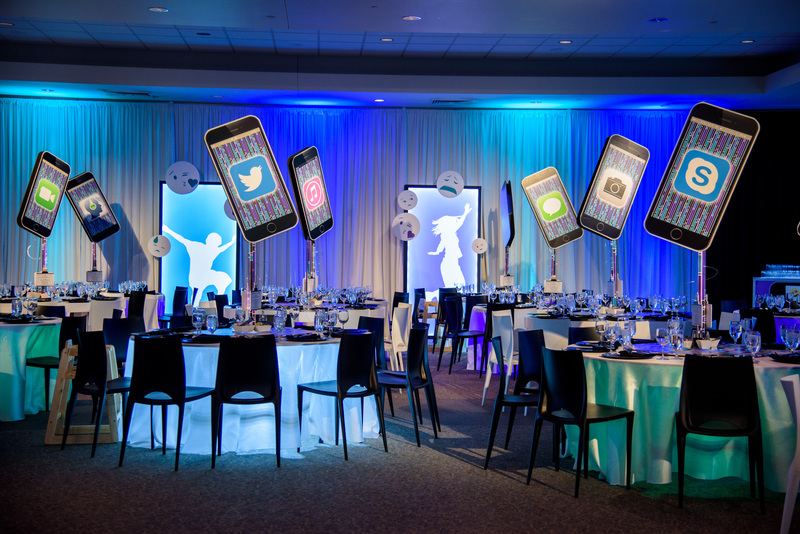 Perimeter up-lighting, glow bars, and silhouetted light boxes stretched throughout the room and completed the vision.